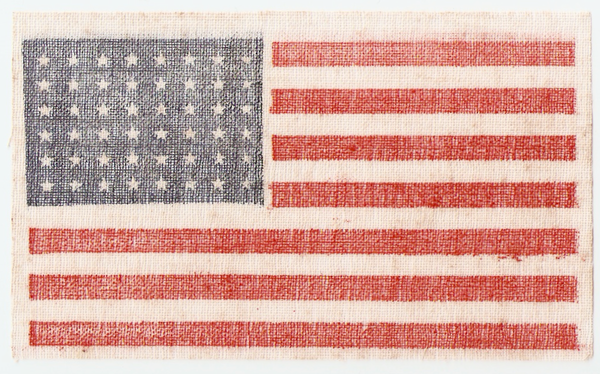 This is a mint original gauze-printed flag as it was issued to the 82nd Airborne Division for the Normandy invasion and also worn after that campaign during the Holland jump up to the end of the war. These were probably printed in England prior to the invasion to be issued to the extra units that were attached to the division, and produced in a hurry with not too much attention for printing quality. It measures 3 by 5 inches (7,5 x 12,5 cm. ).